The day is coordinated by Action for Happiness, a non-profit movement of people from 160 countries, and is supported by a partnership of like-minded organizations. The day was founded as a way to inspire, mobilize and advance the global happiness movement. In 2015, the UN launched the 17 Sustainable Development Goals that seek to end poverty, reduce inequality and protect the planet—three key aspects that lead to well-being and happiness. Each year, International Day of Happiness focuses on a particular theme. This year the theme, “Happier Together,” focuses on what we have in common, rather than what divides us. In celebration of International Day of Happiness 2019, Salesian Missions is proud to highlight Salesian programs that educate and empower youth. 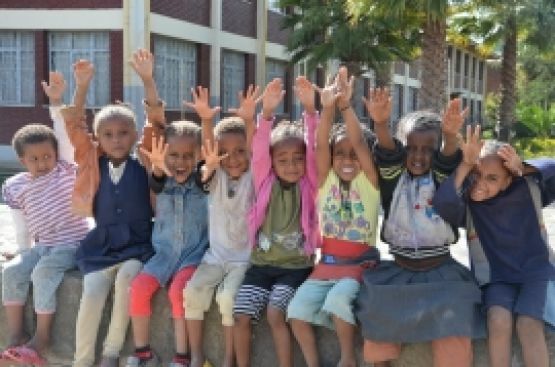 The Bosco Children Project, located in Addis Ababa, Ethiopia, provides support and educational services in addition to an outreach orientation center and a hostel for youth, mostly boys, who are orphaned or live on the street. At the hostel, youth receive shelter, meals, warm clothing, psychosocial counseling and access to basic education and literacy classes. Once ready, they participate in a skills training orientation where they experience a variety of vocational courses including automotive, carpentry and culinary arts. Supporting the work of the Bosco Children Project are volunteers with the Salesian International Voluntary Service for Development (VIS). VIS has been working in Ethiopia since 1998 on projects related to education, vocational training and job placement. Educational programs offered by VIS include tailoring, catering preparation, woodworking, mechanics, leather goods and construction. 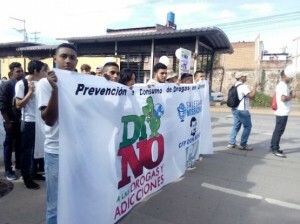 The Don Bosco Vocational Training Center in Tegucigalpa, Honduras, has been implementing a “Preventing Drug Consumption by Youngsters in Honduras” project to provide life skills training to 500 youth between the ages of 15 and 30 over a two-year period. The goal is to reduce the involvement of youth who are at high social risk of drug abuse and related criminal activities in the criminal justice system. Salesian Missions, the U.S. development arm of the Salesians of Don Bosco, secured the project funding through a grant from the Department of State Bureau of International Narcotics and Law Enforcement. As of the fourth quarter of 2018, 331 youth have been trained in the “Preventing Drug Consumption by Youngsters in Honduras” project. This includes 287 continuing from the third quarter as well as 44 participants who recently started the program. Fifteen groups of about 20 students each received an average of 40 hours of life skills training. The life skills training touches on topics including self-knowledge, self-esteem, assertive communication, interpersonal relationships, conflict resolution, resilience, youth leadership and ethical and moral values. Participating youth are also able to access sporting and other recreational activities including football, volleyball, dance and art workshops, guitar and other music lessons. 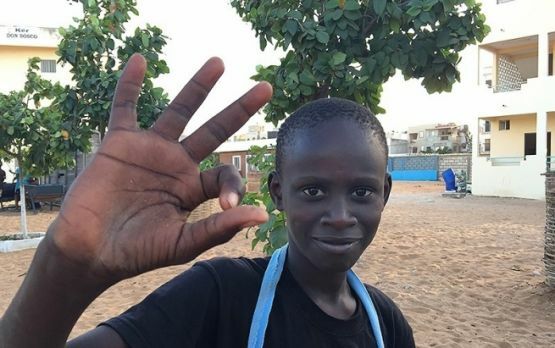 Salesian missionaries have recently built the St. John Bosco secondary school in Touba, a small town in Mali, which had no other secondary educational institutions. 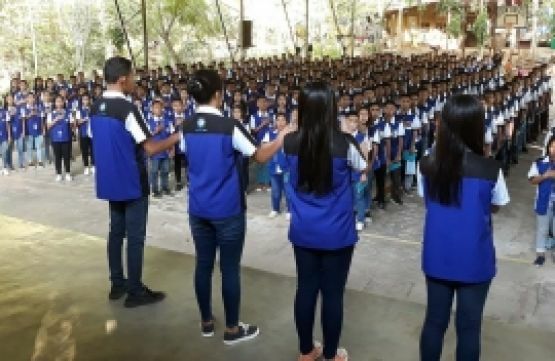 The school was completed with the assistance of the Spanish Salesian organization, Solidaridad Don Bosco, which aims to give youth at risk of social exclusion access to quality education. In the past, many youth from Touba ended primary school at the age of 12 or 13 and then had to move to the nearest city more than 20 kilometers away to continue their studies. In Mali, more than a million children do not attend primary school at all and an additional 1 million do not attend secondary school. Salesian missionaries began construction of the St. John Bosco secondary school because the area offered no educational institutes for older students. The new high school now serves more than 400 youth from 17 villages in the region. Together with the construction of the new school, a gender awareness development plan is in place to facilitate girls’ access to education and to foster and welcome their participation in the activities of the local oratory. Salesian missionaries have been working with poor youth and their families on the island of Mindanao, a southern Philippine Island, since 1991. They operate three separate Salesian missions in the region: Don Bosco Mati that includes the Sacred Heart parish, vocational training center and high school; Don Bosco Dacudao that includes the parish of Mary Help of Christians; and Don Bosco Buda that has a vocational training center and social programs focused on the needs of indigenous youth. The Sacred Heart parish and Mary Help of Christians parish serve 3,000 and 2,500 families respectively and between the two, nearly 300 lay mission partners are involved in stewardship. Don Bosco Mati was entrusted to the Salesians in 1998 and over the years has established itself as a resource for the community which is made up of mostly poor and marginalized families. The Don Bosco Training Center in Mati has served more than 2,000 youth since its launch in 1992. Don Bosco Buda is the humblest Salesian structure in the whole of the Philippines. It is located in the Bukidnon highland and serves the Lumads, the original Mindanao indigenous people. The Don Bosco Buda training center and its social work for rural indigenous people has slowly developed since 2004 and programs are currently being operated by two resident Salesian missionaries. Together with 15 lay mission partners, they are educating 14 boarding high school students.